Remember the good old days when everyone sat around with friends & family in front of a TV set, munching on snacks while cheering for Team India, as they hooked us on to an enthralling game of Cricket? I am sure many of us can connect to it. It is a well-known fact that Indians love cricket. Cricket drives emotions and creates a bond that cuts across all creeds, casts, religions, borders, and languages, uniting India’s highly fragmented demographic. While this fact has remained unchanged over the past decades, there is something that has indeed changed – the mediums to watch the sport. Indians are now using devices like OTTs, video streaming platforms, cricket portals, and Connected TVs to consume cricket content. This is a brilliant new for the advertising world. 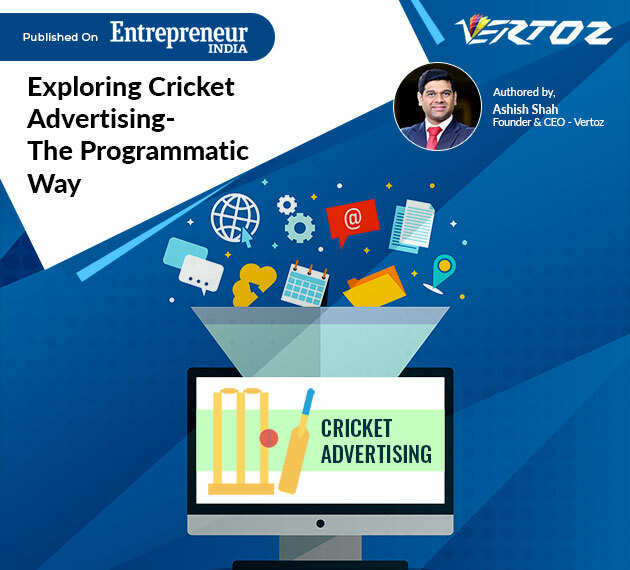 It brings them the opportunity to digitally reach millions of cricket crazy Indians on these platforms. However, here’s the challenging part. How do advertisers distinguish between the relevant audience and the irrelevant ones? Scores of viewers from all types of audience segments flock these platforms. Advertisers need to ensure that they reach only the relevant ones and do not waste their ad dollars on unyielding ad impressions. So how do advertisers accomplish this complex task? Programmatic advertising is the answer to all their questions. With the precise targeting capabilities of programmatic advertising, brands can get in front of the right set of audience, at the right time and under the right context. Data-driven targeting, mobile programmatic, granular reporting, automation, optimizing as spends – programmatic has it all.